Belkin’s Wemo family of smart-home devices has gradually become a very talkative bunch—and that’s a compliment in the connected-home market. Following in the footsteps of the WeMo Switch, Insight Switch, Light Switch, Maker, and Motion connected-home offerings, the company’s smart bulbs have now also acquired an IFTTT (IF This Then That) channel of their own. 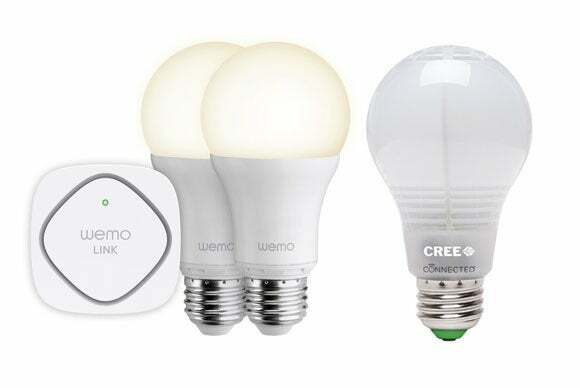 “Adding IFTTT compatibility to the WeMo LED bulbs builds upon the successful relationship between IFTTT and WeMo and creates an even larger ecosystem for controlling and customizing household lighting,” the company said in a press release. Why this matters: In integrating with IFTTT, Belkin has turned up the usability of its connected bulbs by several notches, allowing them to interact with nearly 180 devices and services outside the WeMo smart-home ecosystem. As of press time, the WeMo Lighting channel is home to almost two dozen recipes, the vast majority of them created by the company itself. One such recipe allows for your WeMo bulbs to be turned on automatically the moment smoke is detected by the Nest Protect smart smoke and carbon-monoxide detector. The company has also halved the price of the WeMo Smart LED Starter Kit. You can now get the starter kit for as low as $50 . Mind you, the price includes two ZigBee-enabled smart bulbs and the WeMo link hub that’s necessary to control them. If you already possess a hub, Belkin has also reduced the price of individual bulbs from $30 to $25. Want something cheaper? You could give the Connected Cree LED Bulb a try . The 60-watt equivalent warm light (2700k) with an 815-lumen output and 25000-hour life expectancy costs just $14.97, and very soon you will be able to control this ZigBee-speaking light through your WeMo Link hub via the WeMo App, in much the same way as you can now control Osram Sylvania’s various color-tunable and white LED bulbs .